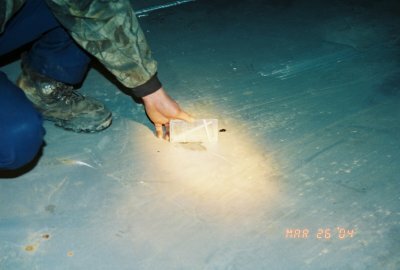 This is a drained tank inspection. This is a drained tank inspection. Our P.E. 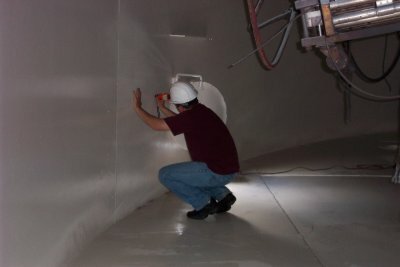 inspector measuring the depth into metal of the pitting corrosion in a drained welded steel tank. 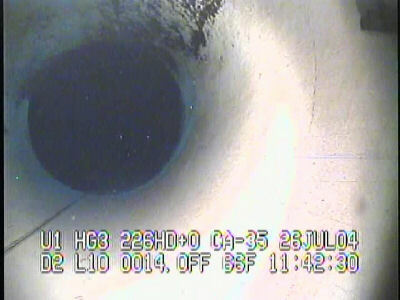 Our ROV inside a pipeline. 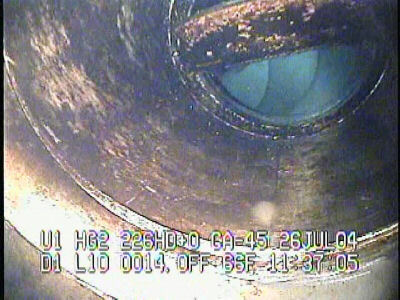 Our ROV pipe inspection determined that this valve was open and working. Our Professional Engineer (P.E.) Inspector Is Licensed In Florida And Your Inspection Reports Will Be Signed And Stamped By A Florida P.E. 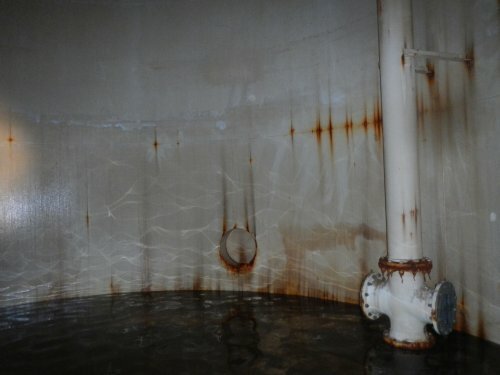 A hydro tank inspection. 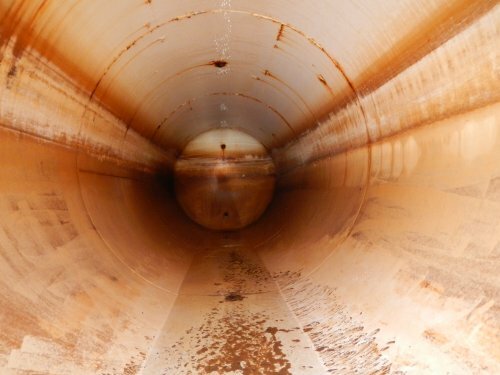 The amount of interior coating failure is determined and the depth into metal of the pitting corrosion is measured. 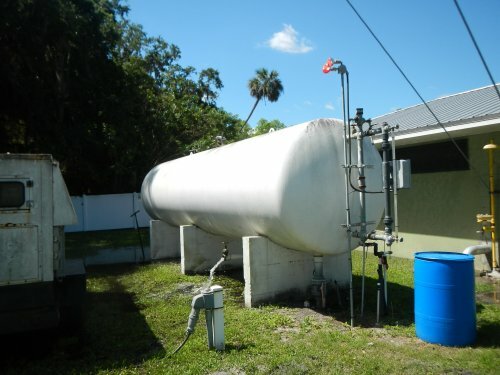 The metal thickness of the tank is measured with an ultrasonic gauge to determine the structural integrity of the tank. 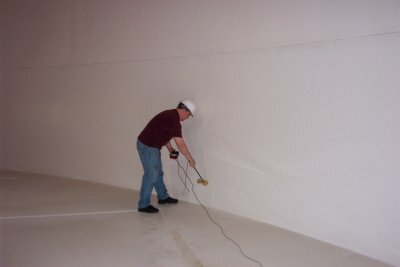 Our inspector testing the paint thickness during an interior recoat. 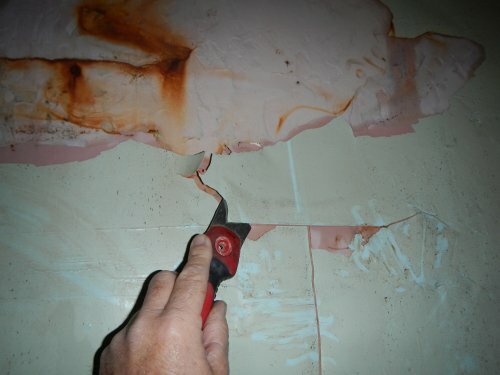 Our inspector testing the paint application for holidays with a wet sponge tester during an interior recoat.